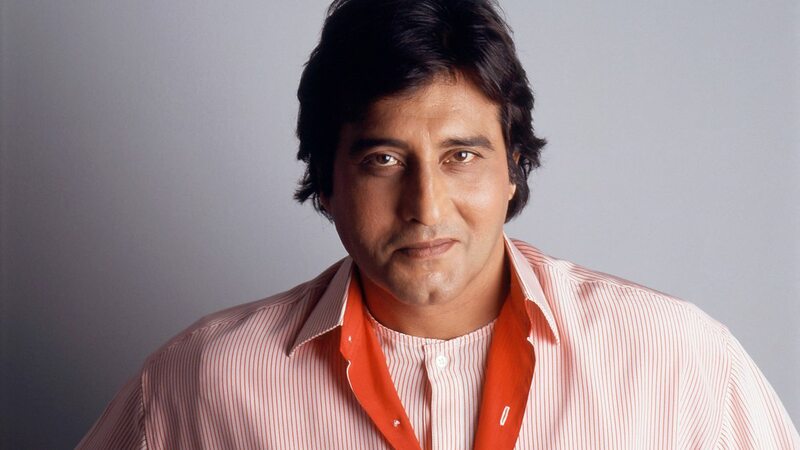 He came into prominence playing an angry young man in a 1970s classic and one of his last major appearances was as an angry implacable father in a 2010 blockbuster, but whatever role Vinod Khanna played — good, bad, or even supporting — he ended up making his presence felt. Can you think of any other Bollywood hero who won applause for beating up Amitabh Bachchan on screen? He entered Bollywood as a villain but his imposing height and physique, crowned with a sculpted but expressive face and discernible intensity, he was not fated to remain one for long. Given a break by Sunil Dutt in “Man ka Meet” (1968), Khanna showed his metier in 1970, playing a dedicated police officer in both “Mastana” and “Sachaa Jhuthaa”. The year 1971 was a watershed: He appeared in a dozen films, including the acclaimed “Mere Apne” where as Shyamu, he stood his ground against a bombastic Shatrughan Sinha, while displaying the vulnerability of the ‘angry young man’ in that pensive song, “Koi hota jisko apna…” He went on to play another police inspector in Shammi Kapoor-starrer “Jaane-Anjane” and vicious dacoit Jabbar Singh in “Mera Gaon, Mera Desh” facing Dharmendra. The year also saw him in his first role as hero in “Hum Tum aur Woh” while his role as Shyamu figured as footage in Hrishikesh Mukherjee’s “Guddi”, about a young girl’s infatuation with the film industry. The next role that bought him to prominence was as a military officer on the run after killing his wife’s paramour in “Achanak” (1973), one of the Bollywood adaptations of the Nanavatty case. There was no looking back. Usually cast as a police officer or a criminal, he proved he could display a softer side too as he did in “Imtihaan” (1974), playing an idealistic college professor trying to reform a group of unruly students. The song “Ruk Jaana Nahi” is again memorable. Appearing in some of the most famous Hindi films, Khanna always left his mark whether by himself or against established or upcoming stars — Shammi Kapoor, Rajesh Khanna, Dharmendra, Shashi Kapoor, Jeetendra, Amitabh Bachchan and Feroz Khan — down to Salman Khan and Shah Rukh Khan. Even in songs not picturised on him, he stands out — take “Haal kya hai dilon ka” in “Anokhi Ada” (1973), or “Dil to Hai Dil” in “Muqaddar ka Sikandar” (1978). In the first part of his career, he went on to essay some particularly memorable roles as the stern, dutiful Inspector Amar in “Amar Akbar Anthony” (1977) – where he thrashed up an irreverent Anthony, played by Amitabh but unbent towards to the end to appear as a cheery, one-man band in the climatic “Honi ko anhoni kar de”, as con-artist Ajay in “Hera Pheri” (1976), again opposite Amitabh, another Amar, but on the other side of the law; in “Qurbani” (1980) where he eventually lives up to the film’s name; as a workaholic railway engineer in “The Burning Train” (1980) and an understanding doctor in reincarnation love story “Kudrat” (1981), where he did not let Raaj Kumar and Rajesh Khanna eclipse him. Khanna, who had become a disciple of godman Rajneesh in the mid-1970s, then took a five year break, notwithstanding he was at the peek of his career. He moved to the godman’s ashram in the US where he reportedly was also a dish-washer and gardener. He returned to Bollywood in 1987, where his career took off again. Mostly seen in action films, usually in his trademark police inspector role, he paired well with Meenakshi Seshadri in “Satyamev Jayate” and Dimple Kapadia in “Insaaf” (both 1987). But what signalled his comeback in full vigour was Feroz Khan-helmed “Dayavan” (1988) where he played a crime don and shared a sparkling chemistry with Madhuri Dixit (sharing a long kiss and the sensuous “Aaj Phir Tum Pe”). He did well with Madhuri in “Maha-Sangram” (1990) also — a film noted for Gulshan Grover in a positive role. His other notable performances included in “Chandni” (1989), “Lekin” (1990) and “Jurm” (1990). Khanna, who had only won one Filmfare Award (for best supporting actor), despite being nominated twice as best actor and once more as best supporting actor), was conferred a Lifetime Achievement award in 1999. After this, along with his flourishing political career, which saw him rise to Minister of State for External Affairs in the Atal Bihari Vajpayee government, his output slackened. But he never abandoned the film industry, holding his own against Salman in the “Dabangg” series. His last film was “Dilwaale”, starring Shah Rukh and Kajol, in 2015.